I am dedicated to achieving nothing less than excellent service for all my buyers & sellers. 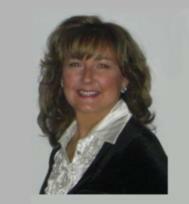 I am a Certified Short Sales Specialist & work with an experienced short sale team. I am a full-time Connecticut REALTOR® devoted to helping both sellers and buyers successfully deal with their real estate experience. My primary goal is to provide exceptional customer service (you can always reach me!) combined with honesty, integrity and a commitment to helping clients through a transaction with every "i" dotted and every "t" crossed. My extensive background in both education and information technology translates into providing accurate information every step of the way as well as providing cutting edge internet marketing technology. I cover cities and towns in both Fairfield County and New Haven County. My 'core' areas are Shelton , Stratford, Trumbull, Bridgeport, Fairfield, Monroe, Newtown, Milford, Orange, Woodbridge, Seymour, Oxford, Ansonia and Derby and many other bordering county towns. When I list a property, putting it on the MLS and staking a ‘for sale' sign in the ground is only the tip of the marketing iceburg. I let ‘the world' know your house is for sale via various internet marketing strategies. Additionally, my marketing collateral is professional, unique, and absolutely stands out against the competition. I continually keep up with comparables to make sure your property is priced right and will yield the highest dollar. On the buy side, my buyers proclaim I am easy to work with and can always trust me for an honest opinion and due diligence on every property. I continually read, research, and attend professional seminars and webinars to enhance my knowledge and adapt to a changing market. One of these areas is helping homeowners who are suffering a hardship and may be qualified to do a short sale with their lender. If you find yourself in this situation -- owing more than your house is currently worth and unable to keep up with payments due to a hardship -- do not despair or hide and hope it will go away. It is imperative that you act quickly and find yourself a REALTOR with short sale knowledge. I am a Certified Short Sales Specialist and work with a team who will professionally negotiate on your behalf and, if you qualify, release you from your financial worry. Additionally, the realtor's commission will be paid by the lender, not YOU! That is part of the negotiation. I love being able to help my clients find the perfect home or sell their existing home successfully. I look forward to working with you. Follow me on Twitter and check out my Facebook Page to learn more! In addition to knowing my market extremely well (I have lived in the same area my entire life) and my son tells me I have a GPS in my head!, I keep up with real estate marketing strategies and internet technologies. I creatively market properties to sell. I do not just list and leave a property to languish. I market and move it! Isn't that what I am hired to do? Remember, too, it's ME you are hiring -- not just the firm I represent. Realtors work independently. Each has his/her own methods. In addition to helping sellers and buyers in a traditional transaction, I have parterned with a team of extremely qualified and experienced debt negotiators and attorneys to help homeowners who are suffering a hardship like job loss or a payment increase. If you are behind in your payments or expect you will be, a short sale may be the answer for you. You must try to avoid foreclosure at all costs! It will wreck your credit among other things. My team may be able to help you and remember -- you do not pay the realtor's commission to sell your home when it is a short sale -- your lender will.